[0:00] <akk> At least, I think most of the language wrappers so far have been contributed. [0:01] <akk> heraclitus_: It maybe depends on who you are and how you learn. For teaching kids programming, it's great to have a minimal language even if it's not used anywhere else. [0:01] <akk> OTOH at least some adults might learn better by trying to jump in to real-world projects, which would point to using a real-world language. [0:02] <akk> And teens too -- when I was a teen learning programming I learned a lot faster when I was thrown into projects where I had a real goal to accomplish that would be useful to someone else. [0:11] <akk> heraclitus_: Maybe so, but you won't find a lot of other interesting projects using BASIC these days. [0:13] <akk> heraclitus_: That's why I made the comments earlier about what motivates you. [0:14] <akk> If you're happy working in a vacuum on your own little projects, no mixing with code from real projects and also no googling for sample code, then you're fine. [0:14] <akk> One big advantage of popular languages/libraries is that when you get stuck, you can google for examples. [0:16] <akk> Actually I missed the beginning of this so I'm not really sure what the point of this argument is. [0:16] <akk> If it's just whether you should use tiny basic, well, obviously you're happy with it, so go for it! [0:16] <akk> If it's whether most people would recommend everybody start with it, then, well, no, probably not. [0:17] <sanchaz> Will I notice a difference from a 8GB class 10 SD card to a 32GB class 4? will it become too slow? [0:17] <akk> I started with basic myself. But that was a long, long time ago; I wouldn't, today. [0:19] <Lachezar> Hey all. Newbie here, please show some leniency. [0:19] <akk> Fewer libraries you need to master! OTOH they weren't as good for people learning programming, with all the cheap hardware and open source languages available now. [0:20] <heraclitus_> akk, this is the most minimal programming language there can be, yet it is interactive, beginners like things moving around on screen..
[0:21] <Lachezar> Are there any points (pins) connected to the Ethernet port, USB Ports and HDMI port? [0:22] <Muzer> is it possible to dual-boot the Raspi? [0:22] <Lachezar> I am wondering if I can put these on a flat cable. [0:28] <biberao> any of you watched the movie step up revolution? [0:31] <Muzer> yeah, I currently have no internet connection on my Raspi (the stupid NIC I ordered of Amazon doesn't seem to work; gonna order a different one and see if that works before moaning). [0:34] <maicod> network card ? [0:52] <Muzer> hmm. Sounds to me like uboot works with scripts, I wonder if it accepts input. [0:56] <ShiftPlusOne> Who's talking about dual-booting? I've been able to dualboot, but by making a custom kernel and initramfs which would present a menu and then use pivot_root to boot from where it needs to. Another option is kexec and that is the easier option which works, but has a major flaw (no hardware acceleration for anything). [1:06] <ShiftPlusOne> but other than that uboot works fine on pi? [1:24] <Muzer> to paraphrase Douglas Adams, "I can't help noticing that you have parked your partition table... through mine." [1:25] <pasky> Hi! To attach a button to GPIO without risking ESD damage, is an external pullup necessary? [1:28] <ShiftPlusOne> Muzer, not quite. [1:32] <ShiftPlusOne> oh >_< you're talking about the partition table rather than the partition itself, I see. [1:32] <Muzer> yeah. Allow me to demonstrate with a pastebin. [2:38] <rikkib> Took a while to find this bug. [2:39] <sanchaz> Will I notice a difference from a 8GB class 10 SD card to a 32GB class 4? will it become too slow? [2:54] <DeliriumTremens> anyone having issues with wifi on the pi dropping ridiculous numbers of packets? [2:57] <axion> i would say driver or it is using too much power under load. have you tried a power hub? [3:42] <rikkib> Ahha... I have a login prompt displayed on my stm32v touch screen. Can't do anything with it yet. [4:05] * maicod wonders if there exist metal cases for the Pi that act as a faraday cage. [4:09] <rikkib> 48KRAM to play with on my stm32v... I need to allocate some more to a bigger buffer to handle the boot bust from the serial console. [4:21] <rikkib> Hmmm... See lots more with 2k buffer but FreeRTOS and message queues in not the way to make things go. [4:23] <rikkib> I have connected my stm32v board to my RPi serial port if you are wondering... Working on the STM32V software. [4:27] <rikkib> Anyway... Just a hack to start the ball rolling. Now I have to create a new project aligned to what I am trying to do. [4:27] <maicod> but the Pi is one isnt it ? [4:29] <rikkib> I use FreeRTOS on the stm32v. [4:29] <maicod> is the cpu more powerful of the stm32v ? [4:29] <maicod> is that linux distro? [4:31] <invalidopcode> maicod: normal reboots or pull-the-power reboots? [4:33] <invalidopcode> maicod: hm.... that's odd. [4:33] <maicod> invalidopcode: what do you mean with syncing ? [4:36] <maicod> can I make it wait longer before it reboots ? [7:45] <Prinler> Anyone have any experience with dvb-t usb devices and the pi? [8:49] <HashNuke> I got a VGA to RCA cable. Like this - http://www.ebay.in/itm/VGA-male-3-RCA-male-Component-video-audio-cable-shielded-/271098279572#ht_1651wt_923 Can I get this working with the raspberry pi? [8:50] <HashNuke> so no rca to vga at all? [10:06] <gordonDrogon> morning pi peeps! [10:07] <gordonDrogon> I really hope they can keep it going. Just wish there was someting like it closer - it's a ~3 hour train journey each way..
[10:08] <Yotson> looks nice. no 'office feeling' and so. [10:11] <gordonDrogon> they have offices in a separate are for use as quiet spaces by members - it's actually a huge place. [10:14] <gordonDrogon> It was an old nightclub - it's next-door to an old cinema too, so the basement is used for storage. before that it was a garage, so it's had a pretty weird old history! [10:15] <gordonDrogon> their coffee machine is a true hack - rescued from rubbish, the control board is now a Raspberry Pi. [10:51] <gordonDrogon> it's relatively easy to do this sort of thing in a city - high population density, etc. [10:51] <gordonDrogon> I think exeters failed because they just didn't have clue. [10:57] <gordonDrogon> I got all enthusiastic ealier this year when I visited madlab in Manchester. [10:58] <artag> madlab's a slightly different proposition aiui. closer to a commercial maker. [10:58] <gordonDrogon> it's secure, 24/7 access, car park nearby, etc. but I know that I'd not be able to get anyone to share with me. [10:59] <gordonDrogon> yea, but it still has to fund itself. [10:59] <gordonDrogon> w've tried. We have over 200 members on the Devon/Cornwall LUG lists - and no-one there is intersted. [11:00] <artag> penzance is perhaps closest, didn't they do some sort of kickstart funding? DOn't know how big their core groups is though. [11:00] <gordonDrogon> someone's even tries to setup a exeter only LUG - it's going, but struggling for regular members - it's a 30 minute drive for me. [11:00] <gordonDrogon> penzance for some arts group grant/funding I think. [11:01] <gordonDrogon> but they still need money to pay the rent - latest project is a bike workshop..
[11:01] <gordonDrogon> I'm the only person in Devon that's bothered to go down and see them. [11:01] <artag> in northampton, we all joined the local model engineers. Which gives us an excellent workshop and place to meet without any big commitment. but we're struggling for members. [11:03] <gordonDrogon> time for a coffee I think... back inna bit. [12:06] * gordonDrogon tum ti tums. [12:07] <steve_rox> dont forget to reload dr freeman. 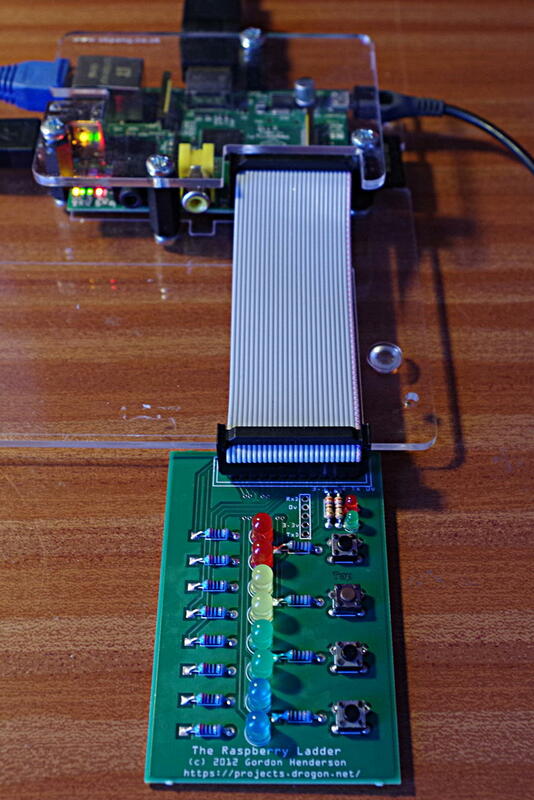 [12:16] <Sonny_Jim> Any way to hack a PS/2 keyboard into the Pi using the GPIO? [12:18] <Yotson> Sonny_Jim: how strict can you time I/O on the rpi? ps2 is clocked at 19200baud from the keyboard. [12:19] <gordonDrogon> it's highly unlikely you'll bit-bang serial on the GPIO accurately. [12:20] <gordonDrogon> you'd be far better off using the on-board uart to drive the keyboard. [12:20] <gordonDrogon> bother. another parsing bug in my basic. I hate writing parsers. [12:22] <gordonDrogon> Yotson, no clock that I'm aware of. [12:23] <Yotson> than ps2 over uart will be, ehm, difficult. [12:23] <Yotson> yup, clocked by the keyboard even. [12:26] <gordonDrogon> only one data pin is it bi-directional? [12:27] <gordonDrogon> oh gross. : http://www.computer-engineering.org/ps2protocol/ grossity gross grossness with a dose of gross on-top. [12:28] <Yotson> ah, that was what i used when i tied a keyboard to an avr usart. [12:28] <jelly1> hmm what method do you guys use for webcam capture? [12:29] <gordonDrogon> no idea. only ever used cheese & skypeeee on Linux w/ webcam. [12:34] <jelly1> [SLB]: oh you wrote the article nice! [12:39] <Sonny_Jim> Would sticking a whacking great big 4700uF cap across the +5V and GND on the USB socket stop my Pi from rebooting when I plug a dongle in? [12:44] <jelly1> 404: Not Found! [12:47] <Vanfanel> I need some help with dispmanx, currently implementing a triple-buffer mechanism for a dispmanx SDL backend. Is it a good idea to call vc_dispmanx_update_submit() inside the vsync callback function? [13:02] <Draylor> smsc95xx 1-1.1:1.0: eth0: kevent 2 may have been dropped <- anyone know how to resolve this? [13:13] <Vanfanel> <Draylor> "Oh, thanks, Sonny_Jim! I will check that list"
[13:30] <[SLB]> Sonny_Jim, did you make something to make it work or it just happens to? [13:52] <DigitalYeti> hey, was looking into the white/blue LCD displays from Adafruit, but they require soldering.. I'm not an EE guy, does anyone know of a non-soldering/simpler setup to connect a character LCD to a raspberry pi? [13:53] <ShiftPlusOne> There may be alternatives, but I'd recommend you learn to solder. [13:54] <gordonDrogon> an investment in a good soldering iron is worth it. I've had mine for about 35 years now. [13:54] <ShiftPlusOne> Soldering isn't hard, it's just that the intuitive way to do it is wrong. [13:57] <ShiftPlusOne> if you're doing low level programming (like an lcd), then the two are inseperable. But anyway, if you really refuse to do the simple thing, you can use breadboard wires or any solid core wires and plug them into a header of some sort. [13:58] <Yotson> i'm probably missing the point here but in what way is a rpi good for 'physical computing'? [13:59] <artag> it encourages the attachment of other things. I see it as a less-limited arduino. [14:00] <ShiftPlusOne> DigitalYeti, if you're going to mess around with hardware like LCDs, but refuse to solder, you're going to have a bad time. [14:01] <artag> the rpi doesn't really have aform factor as such. I'd agree it wouldn't make a good tablet. [14:01] <artag> perhaps I should start from the other directuion : what do you want to end up with ? [14:02] <ShiftPlusOne> RaTTuS|BIG, that's not a character display though. [14:04] <artag> ok, but is that an aim in itself (ie you want to learn how that's done) or are you aming to build a specific project ? [14:36] <NullMoogleCable> whats the bga pitch of the cpu used for the pi? [14:44] <gordonDrogon> sorry - been distracted by a client..
[14:45] <ShiftPlusOne> gordonDrogon, he already got an answer he was happy with. [15:13] <mrmoney2012> can i ask a basic question about shell scripting - if i put an & on the end of a command it runs it in the background right ? [15:14] <mrmoney2012> that's a good way to have them all fire off at the same time ? [15:15] <mrmoney2012> thanks - sorry just checking my understanding. [15:15] <mrmoney2012> errr, it's like a big red button connected to GPIO - when you press it - stuff happens ! [15:16] <mrmoney2012> it works - I am very pleased with myself :-). [15:23] <Sonny_Jim> Can anyone suggest any good ways of testing the speed of various SD cards? [15:23] <mrmoney2012> how can i have it start at boot - as user pi I guess ? [15:27] <zewelor> su pi -c "command arguments"
[15:27] <gordonDrogon> mrmoney2012, remember you only have a finite number of cpu cycles and running things concurrently with & may not actually make them run any faster. [15:28] <zewelor> anyone here using xbmc ( xbian raspbian openelec ) ? I got some grey artifacts when i jump forward backward in video. Is there any cure for that ? [15:29] <zewelor> and maybe someoen here is using openelec with overclock ? [15:29] <zewelor> is it possible to use overclock with openelec without risk of sd card corruption ? [15:32] <Armand> Is ReggieUK about ? [15:32] <Armand> or another Op ? [15:32] <ShiftPlusOne> Armand, what's up? [15:33] <Armand> Just wondering if it would be ok to post the URL for my Pi project site? [15:33] <Armand> Very much Pi.. and, not much activity yet. [15:33] <zewelor> is there some channel for xbmc on raspberry ? [15:34] <Armand> I'm the only one posting at the moment, so it's all clean. [15:34] <mrmoney2012> have moved the rig (including much wiring) to the kitchen area - MrsMoney will be delighted to see it ! [15:35] <Armand> Sonny_Jim, bit of a issue with that.. I still need to push images to the host. [15:35] <Armand> I don't have anything besides the base webhosting enabled. [15:38] <Armand> Works quite well, I think.. even though it's using MySQL. [15:42] <Anppa> was scala this "python badly reinvented on top of java"? [15:46] <Armand> I'm awful when it comes to coding.. I dunt haff braining fur it. [15:47] <gordonDrogon> I program in basic. [15:48] <Armand> I program with a screwdriver. [15:52] <gordonDrogon> axion, yea - olde fashioned rather than embedded php/perl type..
[15:52] <gordonDrogon> so apache will fork the program, feed the POST data into it, etc. [16:00] <Armand> My webserver does need some tweaking, to make it a bit more comfortable for the Pi.. reducing RAM usage and writes to the drive. [16:01] <Armand> Mine, yes.. I've only got that one for now. [16:01] <axion> what language did you write it in? [16:02] <Armand> I didn't.. it's Drupal. [16:02] <Armand> Sorry, I'm just starting with this..
[16:02] <Armand> I mean "mine" as in... the server is my property. [16:03] <Armand> I think I missed you point there. [16:04] <Armand> The whole software stack wants some optimising..
[16:04] <Armand> Yes, sorry.. my mistake. [16:04] <axion> also Drupal and CMS's use lots of memory and disk accesses. Speed will be an issue on a Pi. [16:05] <Armand> I've been considering off-loading the database to another server, as I'll end up with quite a few hosts. [16:06] <Armand> Of course.. I suspect my entire setup will only be light usage, not a great deal of traffic. [16:07] <Armand> I only used what I have out of familiarity. [16:09] <Armand> It was quickly figured that Apache was a bit too much. [16:15] <Armand> I'm pretty new to hosting, so.. it's a lot to figure out. [16:15] <Anppa> does nginx do wsgi? [16:17] <Armand> I went for the full-fat LAMP stack on that. [16:19] <gordonDrogon> have to say I'm still happy with apache... not sure I have the time right now to investigate the alternatives though. [16:20] <gordonDrogon> I'm hosting about 1000 websites over a couple of dozen servers, so it's a lot to consider if I were to move! [16:20] <Armand> I wouldn't mind redoing the stack, as it's only 1 machine... and, it's productive research. [16:21] <Armand> But, I really want to stick with Drupal for that one. [16:27] <gordonDrogon> it's a great little platform to experiment locally with. [16:28] <Armand> Most of what I'm doing here will transfer over to VM hosts easily enough. [16:29] <gordonDrogon> yes, it should do. [16:32] <Armand> Well, one of my core purposes is to learn more about the entire working of webhosting. [16:32] <Anppa> linear regulator or something more efficient? [16:34] <Sonny_Jim> how can I check my CPU speed from the commandline? [16:35] * Armand goes AFK for 10. [16:38] <gordonDrogon> is a little script I use. [16:39] <Sonny_Jim> Is there any way of setting a CPU speed slower than 700MHz? [16:49] <johanbr> Hi. For some reason my rpi auto-negotiates its network connection as 1000baseT-HD (half duplex). Other machines connected to the same switch auto-negotiate as full duplex. Is this something to do with the rpi itself, or should I look for other causes? [16:52] <nid0> hmm, are you sure about that result? [16:56] <gordonDrogon> artag, I think someone else has gone some sort of gpio going with scratch, but I don't know how they did it. [16:58] <johanbr> thank you for the help! [16:59] <gordonDrogon> not enough time to do everything..
[16:59] <gordonDrogon> what? doing gpio in scratch? [17:09] <gordonDrogon> phire, er.. good luck there, then..
[17:10] <gordonDrogon> phire, that's not neccessarily an issue - I think it will be quite challenging though! [17:11] <artag> yeah, I like the concept of a library, especially if it became easily extendible. But I know those functions are painful for their overhead on the arduino and will surely be a fair bit worse on the pi. [17:12] <gordonDrogon> artag, the overhead is negligible on the pi - it can calculate the bits, etc. faster than it can poke the GPIO, so that's not an issue. [17:15] <Yotson> from I/O standpoint. isn't the whole os basically 'in the way' of timing and so? [17:16] <gordonDrogon> Yotson, basically yes, but you can work with it - most of the time. [17:24] <gordonDrogon> artag, yes - that was my intention of the device driver .. trouble is, who know swhat the foundation will do next. [17:24] <gordonDrogon> the quick2wire people look close to producing their IO board too. [17:25] <gordonDrogon> and they have their own libraries, etc. [17:33] <gordonDrogon> what sort of IO parts are you looking to support? [17:34] <gordonDrogon> I do have plans to make an 'extended' version of wiringPi that allows new devices to be registered and their 'pins' to be made avalable..
[17:34] <artag> low tech easy-to-build motors, leds etc. so needs buffers. [17:34] <gordonDrogon> ok, so just end devices not like IO expanders then? [17:35] <gordonDrogon> well wiringPi has a softwarePWM module... it's OK but not perfect. [17:36] <gordonDrogon> yes, there are a few of these now - that are daisy-chainable..
[17:40] <gordonDrogon> Gadgetoid, what Ho! [17:40] <artag> gordonDrogon: that's not bad at all. [17:42] <axion> nicdev: install, create exports, start? [17:43] <narcos> Hi all. I have xbian on my pi. Is it possible to load a web browser..? [17:44] <axion> narcos: sure, install any you want and run it. [17:45] <Armand> Is it plausible... to attach a stepping motor with a light sensor to rotate a solar array to track the sun? Using the Pi for monitoring energy output? [17:48] <axion> nicdev: nfs v3 or v4? [17:52] <gordonDrogon> Gadgetoid, Ahh... Hm. Someone told me they'd some some sort of pull/push on it and I did wonder what they were on about. It must have been the github they were talking about. [17:57] <enapupe> anildigital: pen drive? [17:58] <enapupe> what about sshftp? [17:59] <tripgod> sshftp? you mean sftp or scp? [18:00] <anildigital> axion: what is the package? [18:00] <enapupe> tripgod: sftp, ssh file transfer protocol, sshftp, whatever. [18:01] <enapupe> not to stream it directly ..
[18:02] <tripgod> enapupe, good for me? You're the one who looks like he doesn't know what he's talking about. [18:02] <enapupe> you are the one making a big deal about nothing..
[18:03] <enapupe> tripgod: ok thanks. [18:04] <gordonDrogon> I use NFS. [18:20] <gordonDrogon> I'm in an office on their wifi and plugged my Pi onto laptops ethernet - but if I manually configure it, wicd kills th ewifi. [18:20] <anildigital> any tutorial to setup nfs on wheezy? [18:21] <gordonDrogon> ah, found out how to do it - bit hacky but I can now talk to my pi. [18:27] <Armand> gordonDrogon, My Pi is plugged into the router. [18:30] <akk> I plug my pi into the router at home, but when I travel (like to hack meets) I use a crossover cable and masquerading. [18:32] <nid0> did you restart nfs after setting up the export? [18:32] <akk> What does ALL: LOCAL in /etc/hosts do? That doesn't look like normal /etc/hosts syntax. [18:33] <Armand> Mine doesn't travel, yet..
[18:34] <nid0> and yes as akk has mentioned, whats the purpose of your hosts entry? [18:54] <bugggg> hey, quick question. does the rpi come pre-assembled or is it a kit? [18:55] <bugggg> Armand: great, thanks... that's what i thought. [18:57] <anildigital> does this 192.168.1.0/24 cover 192.168.1.101? [19:04] <anildigital> now can someone tell me .. I can airplay to wheezy? [19:18] <anildigital> anybody using raspbmc? [19:25] <DigitalYeti> anyone know why I would get sound through the HDMI out if I'm using yt to play youtube videos, but when I try to play a wav file using aplay I get nothing? [19:26] <anildigital> okay so can I download torrents with raspbmc? [19:27] <Armand> djuggler, there was talk of the Gertboard only being available prebuilt... but, I don't recall where it was. [19:28] <djuggler> I would think if anything it would be offered at two price points, kit lower dollar and prebuilt higher dollar. [19:29] <Armand> I agree, completely. [19:29] <Armand> Something like that, I'd rather buy as kit. [19:32] <anildigital> do I need this? [19:41] <sam_nazarko> who produces raspbian images, is it still Liam Fraser? [20:00] <artag> djuggler: farnell were originally going to sell it as a kit, but have apparently decided it will cost less to sell assembled. so they don't want to make kits. [21:56] <artag> the channel logs ? seems fair - it's advertised, so if you don't want to be logged, don't speak. [21:58] <akk> is that it means it's archived and searchable forever, so it's no longer so much a place for casual chat. [21:59] <scummos> that's bound to happen! [22:04] <akk> xkcd is eloquent as usual. [22:17] <kkombarji> Well what should I change in the config.txt file then? [22:19] <kkombarji> If that line doesn't exist should I just add it in? [22:19] <bircoe> what files are in yoru boot folder? [22:19] <bircoe> do you see one called fixup.dat? [22:22] <SophieRxx> couldn't you just do it through raspi-config? [22:25] <Mihaylov> Hello, I have power supply problems, I have an apple power supply model A1300 1A-5V and the voltage measuere between TP1 and TP2 is 4,3 volts. Its because of the polyfuse F3? [22:27] <ShiftPlusOne> unlikely, but you can measure the voltage across the fuse. [22:28] <ShiftPlusOne> bircoe, actually the fuse does indeed act like a resistor... it's not ye olde fuse. [22:29] <ShiftPlusOne> bircoe, depends on the current. [22:30] <ShiftPlusOne> yeah, that's why I said unlikely, though not impossible.... if it was the case it would be a symptom of a bigger problem. [22:30] <narcos> Hi all. I have xmbc on my pi. Is there a way to play a movie from the command line? [22:30] <kkombarji> My faulty cable got me through the boot sequence but wouldn't transfer enough power to let the USB or ethernet ports work. [22:31] <ShiftPlusOne> Mihaylov, if you have a multimeter, and I am guessing you do, you can measure various points to figure out where the drop is coming from. Start with the voltage at the supply, then check the end of the cable. [22:32] <ShiftPlusOne> do you have a powered hub? [22:35] <ShiftPlusOne> are the devices you're trying to use listed as problematic on the verified peripherals list? [22:37] <Sonny_Jim> Where's the best place to buy a Pi in the UK at the moment? [22:40] <Davespice> is anyone here familiar with Risc OS? and could maybe help me with something? [22:42] <plugwash> but what exactly is the problem? [22:43] <Davespice> the problem I have is when I try to run the !ArchEm application, I have an error saying "An application that loads a file of this type has not been found by the Filer. Open a directory display containing the required application and try again"
[22:45] <artag> so .. it's complaining it doesn't know how to run the emulator ? [22:46] <plugwash> so you are trying to run an emulator under riscos on the Pi? [22:46] <artag> will it fit on a 2 gig card ? [22:46] <plugwash> what is the emulator intended to run on? [22:52] <artag> is there a riscos irc channel ? [22:54] <artag> any clues on the arcem site ? [22:56] <Davespice> Arm Holdings was Acorn wasn't it? [23:06] <artag> have you tried arcem under unix ? [23:07] <[deXter]> Speaking of RiscOS, anyone got WiFi working? [23:19] <Mehhh> Anyone here doing internal lapdock mods? [23:24] <hadifarnoud> forgive me if unrelated, anyone knows a osx command for gist? [23:27] <artag> Davespice: still there ? [23:46] <Davespice> Tachyon`: http://kimondo.co.uk/elite-making-a-game-that-looks-as-good-as-the-box-art/ <-- have you read this though? [23:48] <Tachyon`> can you point me at the zip file? [23:51] <Tachyon`> although thinking about it, is not the acorn release of !Elite on Ian Bell's site? [23:52] <artag> complains a file isn't a module. [23:58] <chuckhendo> Trying to set up my Pi almost like a kiosk - needs to respond kindly the abrupt power offs without corrupting the file system. Tried SD card lock but doesn't seem to work. Any suggestions? [23:58] <Peetz0r> chuckhendo: what filesystem do you use? [23:59] <Davespice> okay, so !Boot=feb, !Help=fff, !Run=feb, !Sprites=Sprite... now when I run !ArcEm it says "This is not a relocatable module" progress? ?